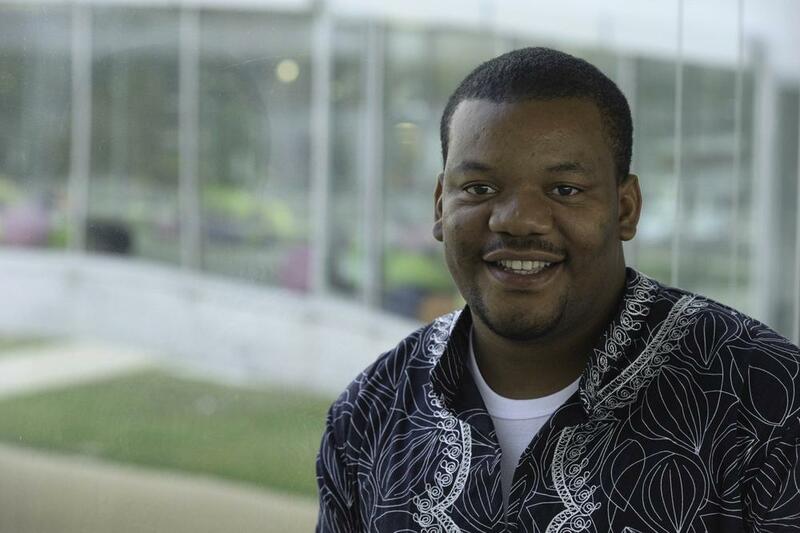 Nnaemeka Ikegwuonu is the CEO of ColdHubs, an award-winning social enterprise that produces "plug and play" modular, solar-powered walk-in cold rooms to reduce food waste in off-grid communities. 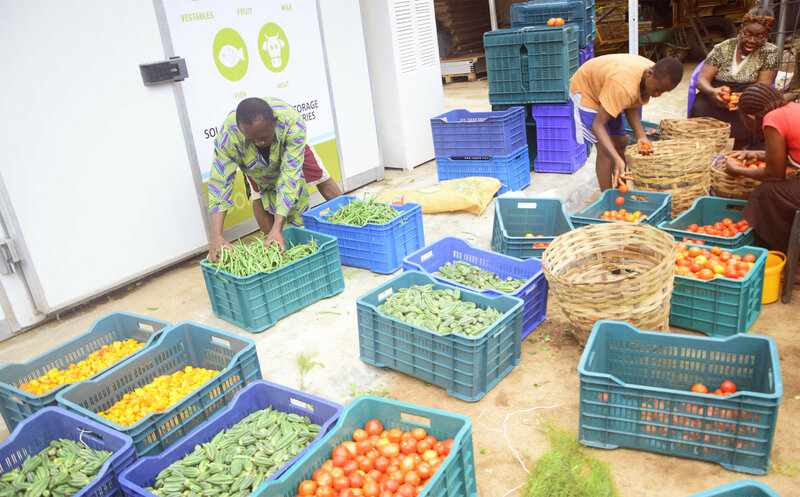 'ColdHubs' are installed in markets around Nigeria so farmers can store their produce using a flexible pay-as-you-go model. ColdHubs is reducing post-harvest loss by up to 80% for farmers and increasing their income by up to 25%. Before starting ColdHubs, you created a radio station, the Smallholders Farmers Rural Radio. How did this experience influence the development of ColdHubs? My work with The Smallholders Foundation as a community radio broadcaster on our Smallholder Farmers Rural Radio (FARM 98.0 FM) is to travel to several remote villages to talk with smallholder farmers and identify challenges and opportunities facing smallholder agriculture. In the course of this work I saw the impact of post harvest losses due to lack of reliable cold storage, and I put together a team at Smallholders Foundation to search for solutions. 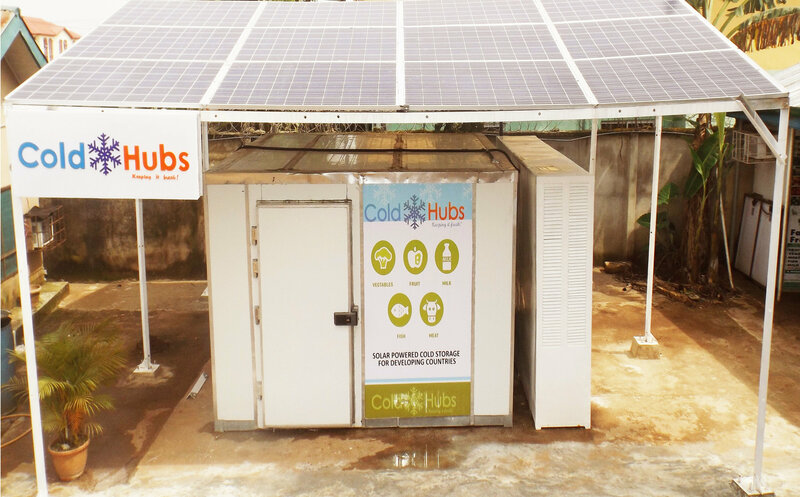 In 2014 we built a solar powered walk-in cold room and tested and validated the technology in 11 districts of Nigeria. Having achieved success, we decided to spin-off the research into a new venture, ColdHubs. What was one of the biggest challenges you've faced while launching ColdHubs? The biggest challenge while launching ColdHubs was really raising funding to build and test the first prototype – it was really difficult because everyone thought it wouldn’t work. My team and I tried very hard to convince potential funders to support a prototype development, but they politely declined because they were more interested in post-prototype funding. Driven by our belief in our design, we self-funded the development of the first prototype, which we made with window unit air conditioners in 2014. Once it was proven to be working, we reached out to the Nigerian Federal Ministry of Agriculture and Rural Development. Normally this Ministry doesn’t support entrepreneurs, so we were surprised when they extended a small grant to us to rigorously test the cold room. Based on the results of this first testing, we reached out to the German International Development (GIZ) to support iteration of our initial design and they supported us, which was the first international development support we received. This support was based on our audacity to launch a product without any support. What’s one of the top skills that you think a social entrepreneur needs to succeed? I think there are a lot of skills needed by a social entrepreneur, but from my experience the most important are determination, commitment, and hard work. Over the course of my work, I have witnessed many failures. But I think my most favourite was the delay to launch The Smallholders Farmers Rural Radio in 2007, four years after I established the Smallholders Foundation in 2003. I was only 21 at this time and I failed to convince the Nigerian government authorities that at 21 I really wanted to own and run a farmers radio. I was disappointed in myself and everyone around me. The authorities told me I was too young and I should look for a formal job to do to gain experience. I went to communities I wanted to situate the radio station and started to work with the farmers, educating them on best practices to increase their agricultural yield. Within two years I became very well known in the area as the only agricultural extension worker. I received approval from government two years later to launch the radio station. The agricultural extension work I did for four years before the radio station went on air, teaching farmers new trends in agricultural and linking them to seed suppliers and credit created wide acceptance beyond my imagination. It built and established trust, which we still enjoy with them to date. What drives you to keep going, even when it gets tough? I think the fact that I am working in my country, benefiting our own people keeps me going when it gets tough. We are basically serving Nigerians with the work we are doing. Improving the living standards of Nigerians is also to our own benefit, so we continue to push on. Success for me is to eliminate all forms of food spoilage due to lack of cold storage and increase the household income of farmers, retailers and wholesalers. My hope for the future is to be known for creating innovation that lifts millions of smallholder farmers out of poverty. What are the main obstacles that you think social entrepreneurs face? There is the problem of finding the funding needed to transform ideas and dreams into reality. But then when the funds come in, there is the obstacle of being so obsessed with your idea that the social enterprise gradually becomes a one-man enterprise. In other words, a major obstacle for social entrepreneurs is unintentionally, and most times unknowingly, personalizing the enterprise. What advice would you give to a social entrepreneur just starting out? Determination, commitment, and hard work is what leads to success. Don’t allow daily obstacles to dim your hopes of creating and actualizing lasting social change. The obstacles will be always be there, and we must maneuver around them to achieve our results. Is there something you think we should all be doing to make the world a better place? I have traveled all around the world and I only found humans like us – it’s only one human race that inhabits the world. To make the world a better place, I think we should always think about the humanity in all of us – the commonality of values that we all share and that brings us all together. At the end of the day, there’s only one human family. Want to go learn more about ColdHubs? Check out their website!